RealMetrics, who monitors LuxSci’s servers for reliability, currently ranks LuxSci as the top email hosting company. This is based on combined measurements of server uptime and the speed and reliability of the delivery of sent email messages. Over the past 3 months, LuxSci has shown 100% uptime and 100% reliability in the delivery of email to test addresses (each of which was delivered in 12 seconds or less).The RealMetrics Email Hosting report compares the Uptime, Message Delivery Reliability, and Message Delivery Latency of the top Email Hosting providers. Over 110,000 tests per day are performed on real, paid LuxSci Email Hosting accounts established to monitor reliability and performance. 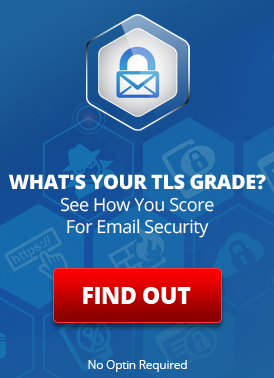 The tests included making POP and SMTP connections to the email server once every minute, and sending email messages once every 2 minutes to addresses not hosted by LuxSci (i.e. external addresses). A longer view, continuous monitoring over the last 6 months, shows 99.998% uptime (about 5.2 minutes of downtime over 6 months). This “downtime” was actually scheduled maintenance (RealMetrics does not subtract out scheduled maintenance). The past 6 months also showed zero failures in test external email deliveries (all of which were received in 12 seconds or less of being sent). So, while LuxSci guarantees 99.99% uptime, the actual performance is much better! This reliability is much better than all of the email hosting companies currently monitored by RealMetrics — both the public and the private listings. As of 4/1/2009, RealMetrics no longer monitors email services — they focus only on web hosting now. This entry was posted on Tuesday, November 25th, 2008 at 10:01 pm	and is filed under LuxSci Insider. You can skip to the end and leave a response. Pinging is currently not allowed.